Other Products by Carusos Natural Health. Search other Co Enzyme Q10 Supplements products. Caruso's Natural Health ULTRA MAX Co-Enzyme Q10 is an antioxidant supplement containing 150mg of naturally fermented Co-enzyme Q10. It has been developed to specifically protect and support the health of the cardiovascular system. • Plays a central role in the Energy production of the body via the production of ATP. • Is found in most cells of the body and is in its highest concentration in the Heart and cardiovascular system. • The cells of the heart are the most metabolically active and have the highest requirement for Co- enzyme Q10. • Acts as a free radical scavenger reducing the damaging effects of free radicals. • A potent antioxidant specific for the mitochondria (Energy producing centre of cells) and cell membranes. • Maintains healthy cardiac function by providing optimal nutritional requirements at the cellular level. • Provides support for healthy arteries. • People taking Statin medication (Cholesterol) may have a depleted level of Co-enzyme Q10. Supplementation would be beneficial. • Helps to reduce the symptoms of fatigue and muscle weakness. • May improve physical performance in sedentary individuals. 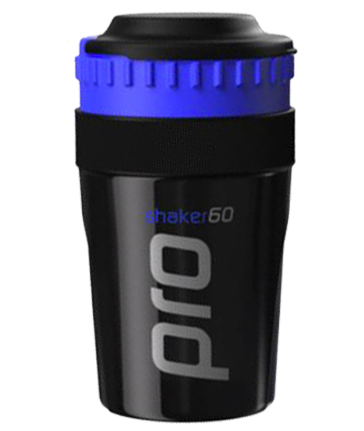 • Enhances aerobic capacity and muscle performance. • May be necessary in the elderly as Co-enzyme Q10 levels decline with age. • May assist in reducing the risk and frequency of Migraine headaches. • May support healthy immune function. ULTRA MAX Co-Enzyme Q10 is naturally fermented by a patented process unique to a few companies around the world. Most CoQ10 products are by products of various manufacturing processes such as tobacco manufacture. However ULTRA MAX Co-Enzyme Q10 is manufactured in a specific CoQ10 manufacturing facility and is not a by-product of an industrial process. ULTRA MAX Co-Enzyme Q10 is manufactured in Australia. Most CoQ10 capsules are manufactured overseas (predominately in Southeast Asia and China). Adults: take 1 capsule a day with main meal or as directed by your healthcare professional. Free from sugar, lactose, wheat, gluten, corn, starch, yeast and preservative.